Geordi La Forge is often thought of primarily as the brilliant chief engineer of the Enterprise-D and the Enterprise-E who was born blind but can see with the help of his advanced VISOR. Geordi is also frequently remembered for his difficulty with romantic relationships. However, we think that Geordi does have his share of badass moments throughout the course of The Next Generation episodes and movies. In this episode of Earl Grey, hosts Richard Marquez and Justin Oser are joined by guest Hayley Stoddart of Standard Orbit to list their three favorite badass Geordi moments from The Next Generation. 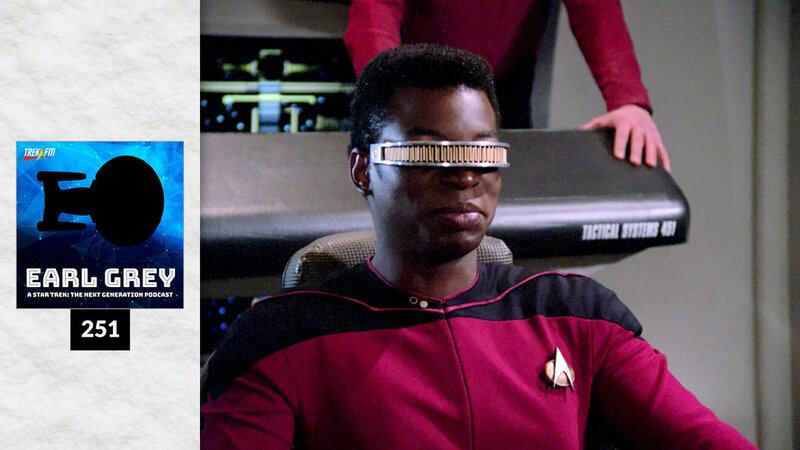 Each choice is discussed and highlights Geordi as tough and uncompromising.